But of course any other tools/IDEs or FreeRTOS version could be used (FreeRTOS should be at least version 9.0.0 or later). 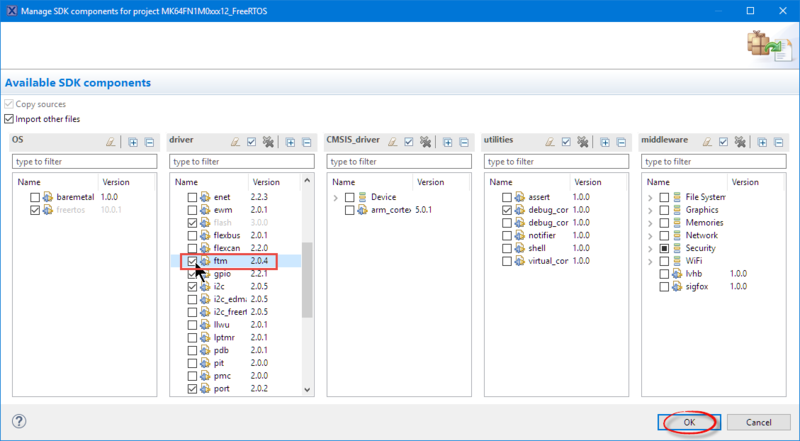 Using the steps below, it is as well possible to update an existing project with FreeRTOS task runtime information gathering. 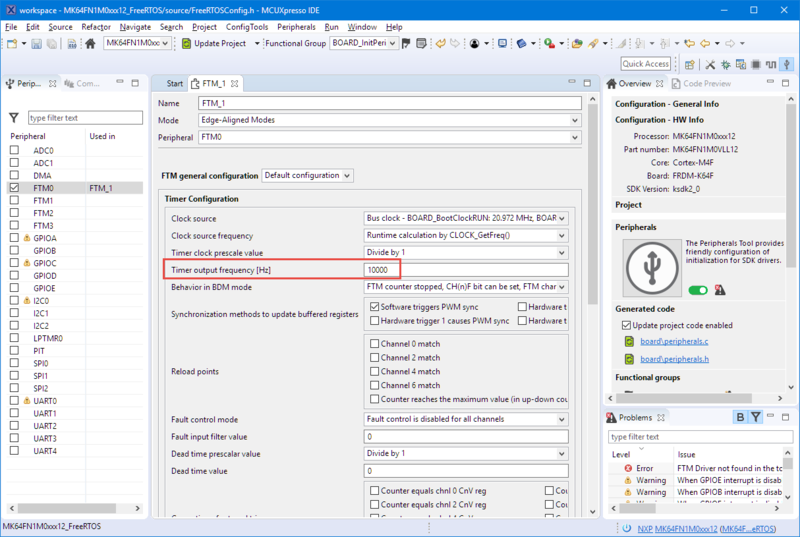 FreeRTOS uses a user/application specific timer to measure the task execution time. For this, every task descriptor inside the RTOS has a cumulative counter which adds the timer ticks spent for that task. The current timer tick count are memorized when a task gets the CPU time and again when the RTOS switches out that task. 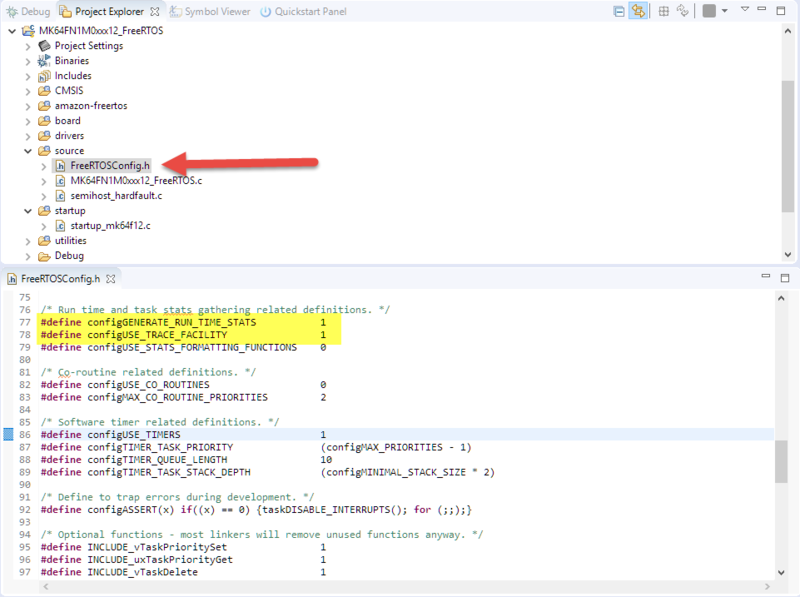 That delta time which corresponds the task execution time is then added to the task execution time counter. Which are used by the RTOS to configure the runtime counter timer and to get the timer value. 💡 Assuming a 10 kHz (0.1 ms) counter period, this means that the variable will overflow after about 5 days. Typically a periodic timer interrupt is used to count the execution time, and that timer frequency should be about 10x the time of the tick interrupt frequency (say ‘hello’ to “Nyquist-Shannon” sampling theorem 🙂 ). Which means if my tick interrupt is 1 kHz, my runtime analysis timer frequency should be 10 kHz. The absolute number is the number of runtime timer ticks (ulRunTimeCounter in the TCB) and the percentage of this counter in relation to the total runtime (ulTotalRunTime in task.c). 0x7C35 is the timer counter (using a 0.1 ms timer in this example, so it means that the IDLE task run for about 3 seconds (0x7C35/10 => 3179 ms) and used 91% of the runtime. The question might be: what about the time spent in interrupts? The answer is that the RTOS does not know about the interrupts, it only knows about how much runtime timer ticks a task has used. 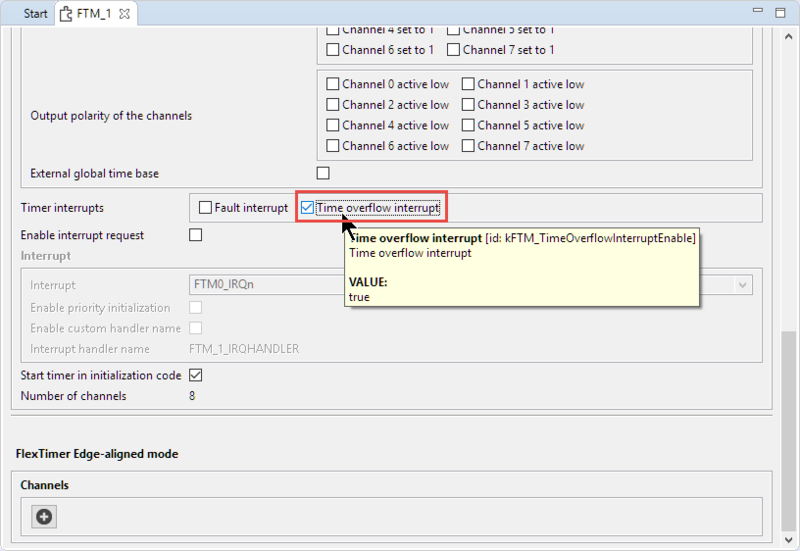 Or in other words: the runtime shows by the FreeRTOS runtime counter *includes* the time of interrupts. Build and debug that project, just to make sure everything is working fine. This is what we are going to add in the next steps. The configUSE_TRACE_FACILITY is needed for the RTOS to have the additional data elements in the task descriptor present to store the runtime counter, the configGENERATE_RUN_TIME_STATS itself turns the functionality on to record task execution time. Next we have to setup a timer to measure the task execution time. That timer should run at least 10x faster than the RTOS Tick timer. Which means our runtime timer shall run at least with 10 kHz. In the Peripheral Tool, we are picking the FTM0 timer (we could use any other timer too). Switch back to the developer perspective. 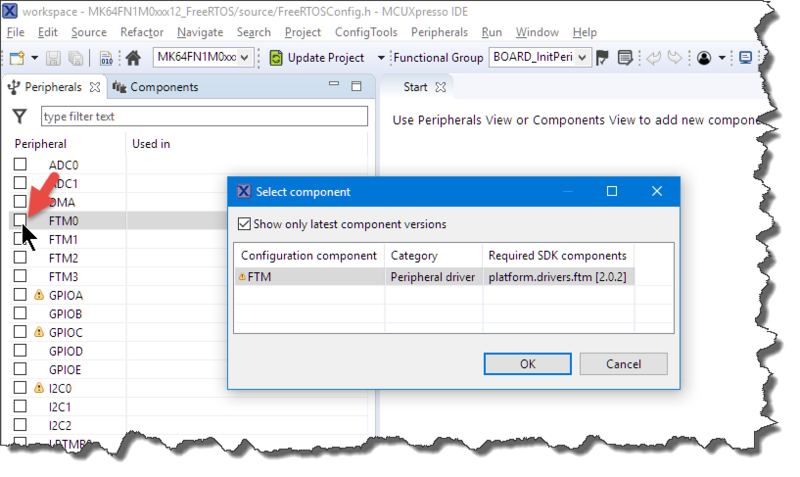 Then check the ftm driver and press OK and get the extra driver sources added to the project. 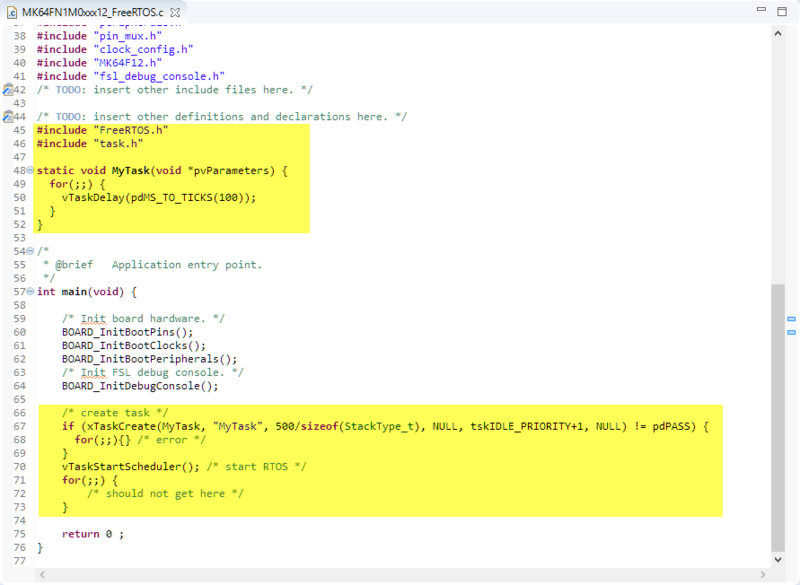 This tells FreeRTOS which function it shall use to initialize the timer and what function for getting the timer value. Now we need to add the two callbacks we have configured FreeRTOS to use. 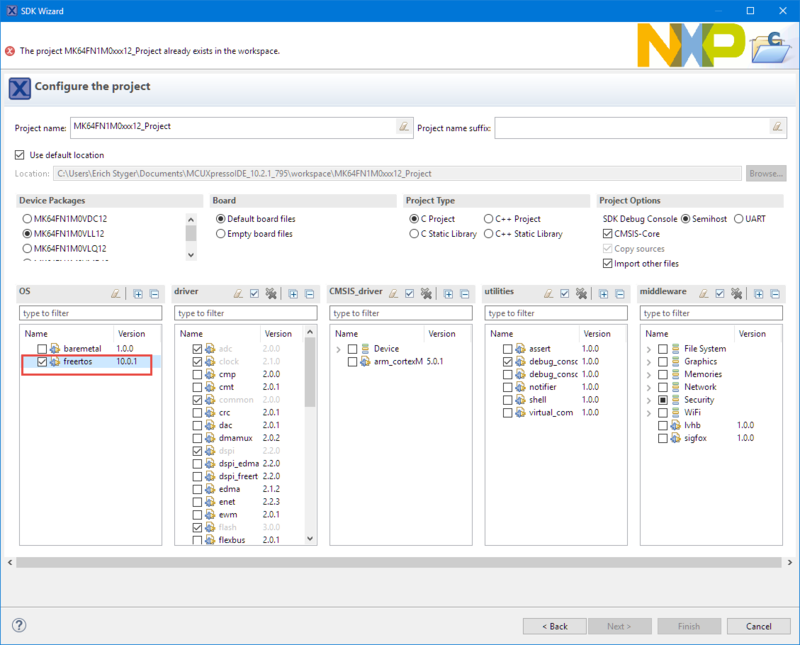 Above I was using the Eclipse Task List view for FreeRTOS which is something NXP did for their Eclipse based IDE’s (MCUXpresso IDE, S32DS for ARM and Kinetis Design Studio). But it is possible to show that information directly from the application, e.g. on a terminal LCD display. The FreeRTOS on McuOnEclipse includes a shell/terminal interface which uses this. /* What percentage of the total run time has the task used? This will always be rounded down to the nearest integer. 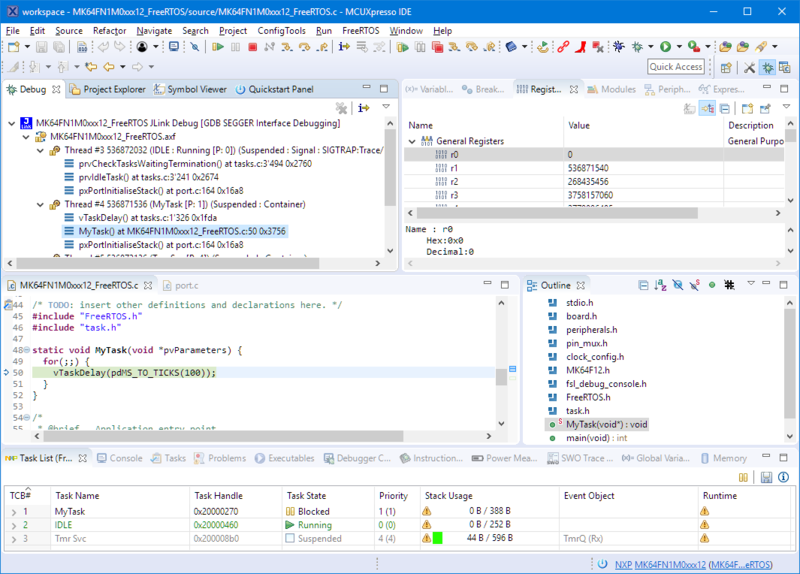 FreeRTOS Runtime Statistics is a very useful feature: it shows me how much time is used by each task including its interrupt time. All what I need is to set some FreeRTOS configuration macros and to set up a periodic timer interrupt. Of course this does not come for free with an extra timer interrupt and the RAM and FLASH needed for that functionality, but it can be easily turned off for the final release if desired. 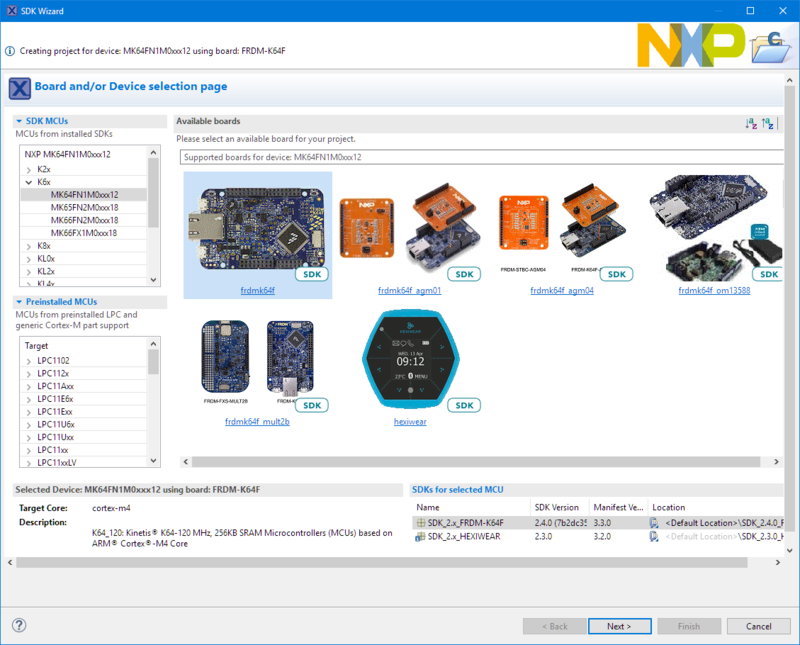 This entry was posted in ARM, Boards, Building, CPU's, Debugging, Eclipse, Embedded, FRDM-K64F120M, gcc, Kinetis, MCUXpresso, MCUXpresso IDE, MCUXpresso SDK, NXP, Peripherals Tool, Tips & Tricks, Tutorial and tagged arm gcc, FreeRTOS, MCUXpresso, MCUXpresso IDE, MCUXpresso SDK, NXP, technology, Tips&Tricks by Erich Styger. Bookmark the permalink. Excellent post Erich, thanks! Came at the right time. I was just looking for something like this.